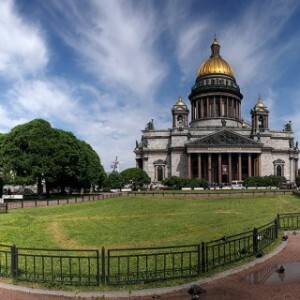 The tour will take you around all the city’s major attractions, and end in the imposing St Isaac’s Cathedral. The grandiose and skyline-dominating cathedral was designed by French architect Ricard de Montferr and completed in 1858. The construction was going on for 40 years, and it was decorated in the most elaborate way possible. Be sure to check out the views from the colonnade surrounding the cathedral’s beautiful landmark golden dome after climbing 300 steps up a spiral staircase. 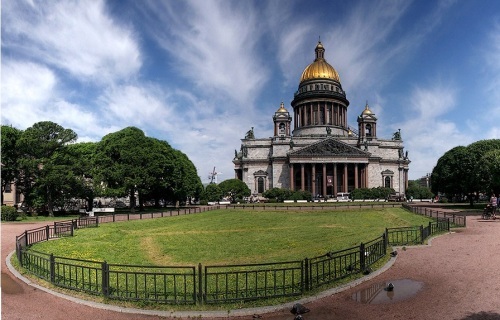 Although the cathedral is considerably smaller than the newly rebuilt Church of Christ the Savior in Moscow, it boasts much more impressive fades and interiors.